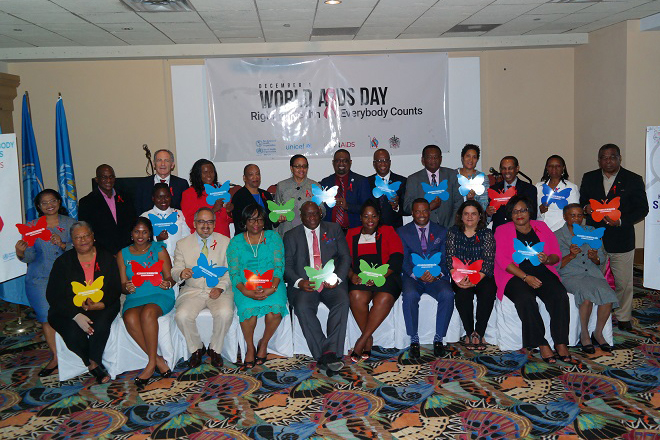 (SKNIS): The Federation of St. Kitts and Nevis had the pleasure of hosting the regional World AIDS Day celebration in collaboration with the Pan American Health Organization (PAHO) and UNAIDS where the “HIV Prevention in the Spotlight Report” was launched. 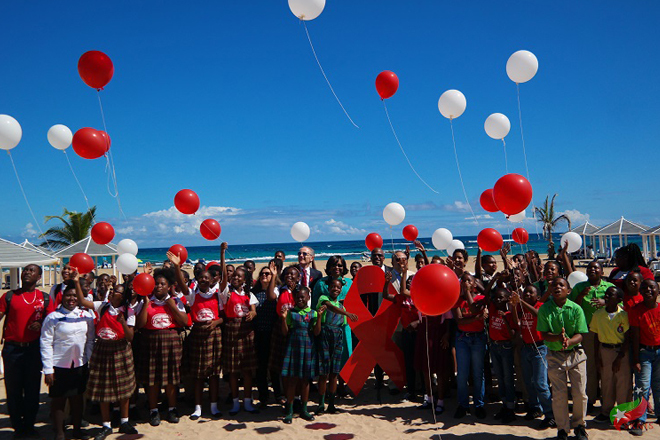 The event held on December 1, marking the observance of World AIDS day, under the theme “Right to Health! Everybody Counts”, highlighted the launched report which focuses on analysing the perspective of the health sectors in Latin America and the Caribbean. Ms. Noreen Jack, PAHO/WHO representative for Jamaica, Bermuda and Cayman Islands gave an overview of the report which highlights the progress made and the challenges faced by healthcare systems in preventing HIV transmission. “The countries of Latin America and the Caribbean have committed to ending AIDS by 2030 and this requires special emphasis on HIV Prevention,” said Ms. Jack. Ms. Jack said that the report shows a decrease in infections for newborns due to the Elimination of Mother-to-Child transfer (EMTCT) of HIV and syphilis programme. “If we are to reduce HIV infections and meet the target, we need to have services and we need to count and include everyone,” she added. 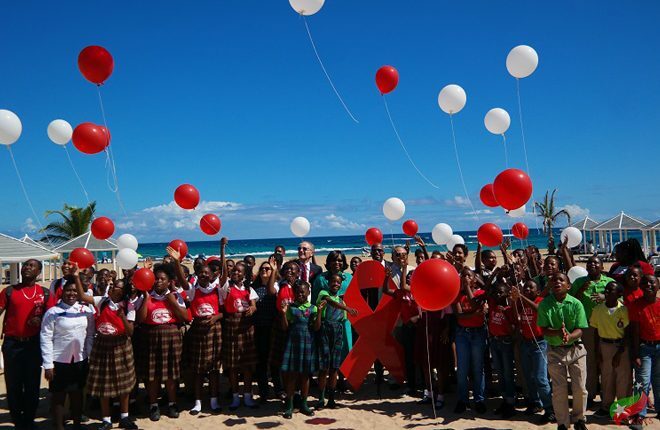 The report is a focus on HIV combination prevention, early detection and access to antiretroviral treatments being available to the population in efforts to slow and ultimately end HIV transmission.